Two professors in the psychology department are hosting a panel to help students prepare for graduate school in psychology. The panel will take place on Oct. 23 from 4:30 p.m. to 6 p.m. in Centennial Hall 191. Some of the topics will include things like the Graduate Record Examination (GRE), applications, program references, tips and tricks. Dr. Frederick Coolidge and Dr. Daniel Segal, are the professors speaking at the event. Coolidge came to UCCS in 1979 and has received three teaching awards. He is also a member of the American Psychological Association and the Paleoanthropology Society. Segal was the founding Director of the UCCS Aging Center and currently serves as a clinical supervisor for students in training at the center. He joined the UCCS faculty in 1995. UCCS offers two masters, one with a track in psychological science and the other in clinical psychology. As well two PhDs in geropsychology which studies aging and the other in the study of trauma psychology. For the masters, the application deadline for fall admission is Jan. 1 and for a PhD the deadline is Dec. 1. The Master of Arts Psychology program requires a Bachelor of Science, a Bachelor of Art or the equivalent and a grade point average of 3.0 or above. The most competitive applicants will have a Graduate Record Exam (GRE) score in the 50th percentile or higher, four letters of recommendation and will have coursework or community experience in applied psychology. According to Coolidge, the GRE is an influential aspect for admission for graduate school. The GRE consists of about 205 multiple-choice questions, and often from the core knowledge learned during the undergraduate level. Editions of the psychology test from 2017, will yield six subscores in the following categories: biological, cognitive, social, developmental, clinical, and methodology/measurement. The GRE costs $150 worldwide for subject tests and $205 for general tests. “You can study for the GRE, and I recommend this if you’re really serious about getting in a good graduate program, then take a year to study,” said Coolidge. Studying for the GRE is a influential aspect for success to get into a great graduate program. 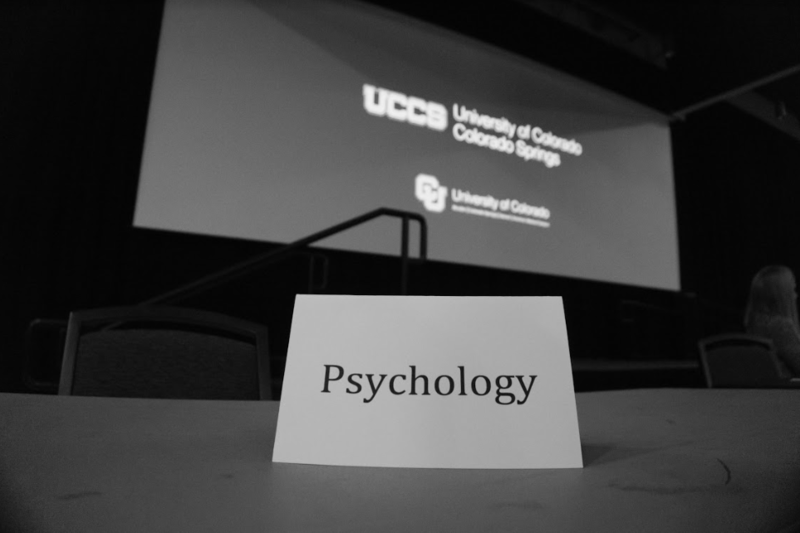 The panel on Oct. 23 will give more information about psychology graduate school at UCCS, and allow students for a greater understanding what they need to succeed. “I look forward to giving the information to students that want to find out about psychology graduate school,” said Coolidge.